Headlights Made New (HMN) is expanding across the country. Headlights Made New (HMN) is expanding across the country and is actively seeking people with an entrepreneurial spirit and the business acumen required to build a business. Do you have what we are looking for? Conversely, do we have what you are looking for? That is a legitimate question since we will be partners helping you build your successful business. We will be with you every step of the way in assisting you and guiding you through the process. We continue to support the strong growth of your new business so you become as successful as you always dreamed. You need to supply the drive, intelligence and motivation to excel and we will be your resource for the process, proprietary products and aggressive online marketing to allow you to not just prosper but flourish. *Very affordable start-up cost to own your own profitable business. *No burdensome percentage of sales royalties. *Own an exclusive territory with opportunities to expand to open territories. 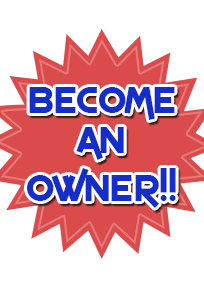 Own a few counties or become a Master Franchisee and own a state or multiple states! *The energizing feeling of being responsible for your own financial destiny and not relying on someone else in a job. *The products we have developed are one of a kind in the industry and proprietary to HMN. And they are only available to our Franchisees! *Being on the forefront of a new industry that is a ground-floor opportunity and is readily accepted by both business owners and consumers alike. *Cutting Edge Website and Website Search Engine Optimization (SEO) to provide you with business leads. *All the systems are in place, you just plug in. *Our products, process and very effective money-making business model are designed to build revenues fast; usually immediately. Of course, it is dependent on your diligence and work ethic. *Work with ownership whose only goal is your success. Owners are available to you 24/7 to provide a built in support system. *The owner will come to your territory to train you in your van and help you set up paying business accounts from day one. *We will supply your initial requirements of shirts, business cards, advertising fliers and your first Proprietary Headlight Restoration Product Kit. *Millions of vehicles that need our product and service. According to the R.L. Polk 2013 study, the average age of cars and light duty trucks on the road in the US is 11.4 years. Older vehicles, more headlights to restore! JOIN US AND SEE HOW HEADLIGHTS MADE NEW CAN HELP YOU LIVE YOUR DREAM OF FINANCIAL INDEPENDENCE!